With the New Year 2013 fresh among us, many of us in our personal lives have resolved to: lose weight, stop smoking, start exercising, and save money. These are just a few of the most commonly stated New Year’s Resolutions. And like most well-intentioned individuals, the resolution will last anywhere from two weeks to two months before it put on hold until the next New Year’s. But what about your home business? What New Year’s resolutions can we make there? More importantly, how likely are we to keep those resolutions for our work-at-home businesses? Whether your home business goals are to de-clutter your office, to apply to more work-at-home companies or to blog daily—there are a few things to keep in mind. Have no more than three resolutions. This will keep you better focused. You can even use a catchy numeric sequence to remember them. For example: 4-3-1 could mean 4 hours a day of transcription work with 3 hours a day of Internet research with 1 day off per week. Have reminders for yourself. According to Lisa Hawley, a clinical social worker at the Advanced Counseling for Change in North Dakota, it is putting the reminders out where you will notice them. Keep your resolutions where you can actually see them (on your mirror), keep them in your thoughts, and also keep them written in your planner. Have an accountability partner. This is someone to whom you will have to report your successes and failures concerning your resolution. Have apps on your cell phone to help with your resolutions. As you probably know, there are apps which can track anything from time worked to money spent. If you can follow these few pointers, you will realize that are ways to set your home business up for success when it comes to your New Year’s Resolutions. While it might be fun each year to admit to fellow online workers what your New Year’s resolutions are, realize this. There is nothing sacred about January 1. Positive change can occur any time you are ready. So, get out there and be work-at-home success story. It doesn’t matter what the calendar says. This is great! Thanks so much for providing us with all of this info. I used you as a resource on my business blog. Well, thank you Lindsey. And nice to meet you via the Internet. 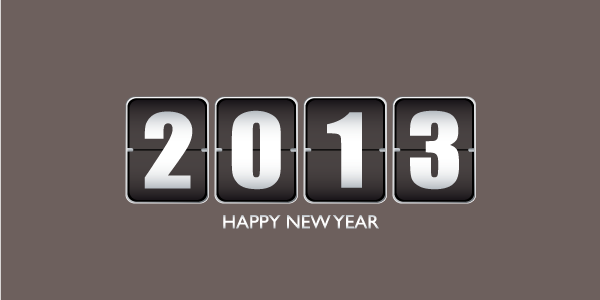 Wishing you and everyone a very happy and prosperous 2013.